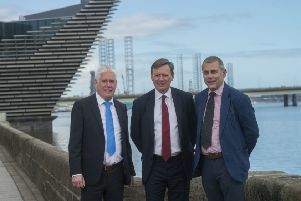 The Aberdeen-based firm has invested the six-figure sum on the back of key contract wins, including a safety valve supply deal in the Caspian Sea. Interventek has recruited six additional staff and launched a new technology development and testing facility to support its expansion plans, as it targets a greater international market share. The firm, which is poised to launch new additions to its valve design portfolio, estimates that the global potential for its subsea technology is in the region of £500 million. Its latest investment follows contract wins to supply its “Revolution” shear and seal safety valves at well intervention projects in the US and the Caspian Sea for a range of customers, including an international oil operator. Interventek said its Revolution valve technology differs from other shear and seal safety valves as its cutting and sealing elements are kept separate, which allows for easier interventions. As part of its expansion, the Aberdeen firm has created a 5,000 square foot technology development and test centre, equipped with an overhead crane and the latest pressure and temperature test equipment. This includes two pressure test bays; high pressure, high temperature pressure test pumps; a hyperbaric test cell; a purpose built flow loop; a thermal cell for elevated temperature testing, and an advanced data acquisition system. 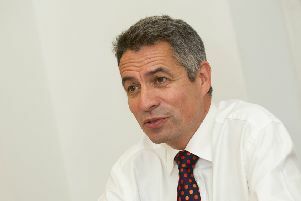 Gavin Cowie, managing director at Interventek, which was founded five years ago, said the company had positioned itself well for commercial growth following a research-focused spell. He said: “Interventek has now emerged from a focused phase of R&D [research and development] into an exciting period of commercial growth. “Our core technology has achieved industry qualification and is already well proven in the field as part of a surface intervention and subsea in-riser landing string application, and we are seeing increasing customer interest with a number of potential projects in the pipeline. Cowie also praised the company’s latest recruits and announced the addition of new products to its portfolio, adding: “Our new team members, with their incredibly strong design and engineering skillset, are a valuable asset to the company. Interventek is backed by investors including Aberdeen-based Frontrow Energy Technology which owns a number of companies in the sector.